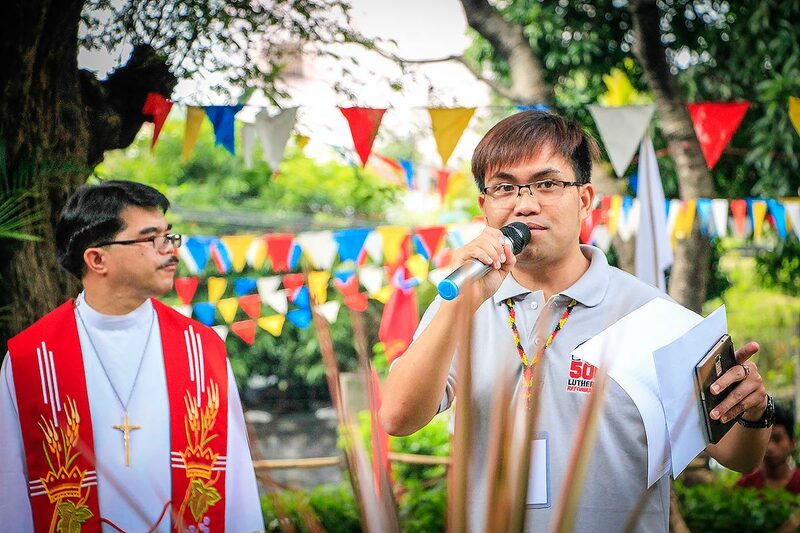 (LWI) - Young Reformers in the Lutheran Church in the Philippines (LCP) are keeping the spirit of the 500-year-old Reformation alive by teaching members to become good stewards of God’s creation. The Philippines is particularly vulnerable to the effects of climate change, such as rising sea levels and extreme weather. Since 2006, the country has been struck by several deadly typhoons, each time affecting and displacing thousands of people. Since April 2016, Johanan Celine P. Valeriano and a team of eight Young Reformers have been raising awareness about their target of planting 500 trees throughout the country to commemorate the Reformation anniversary. Inspired by the LWF Luther Garden in Wittenberg, Germany, the Philippine Lutheran Youth League uses its “Climate Change Awareness Program” to organize seminars that address the cause and effects of climate change and possibilities for mitigation and adaptation. The young people also promote the sale of eco-friendly merchandise. The LCP endorsed the young reformers program during its convention and Reformation anniversary festivities, 24-29 October. 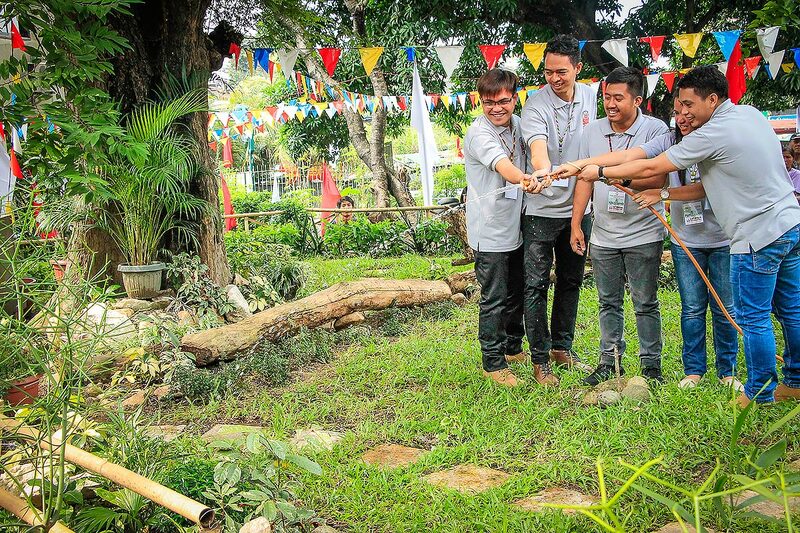 The governing board support for the youth initiative included dedication of a “Luther Garden” and the “LCP Tree,” a century-old tamarind tree in front of the church headquarters in Manila. The church president Rev. 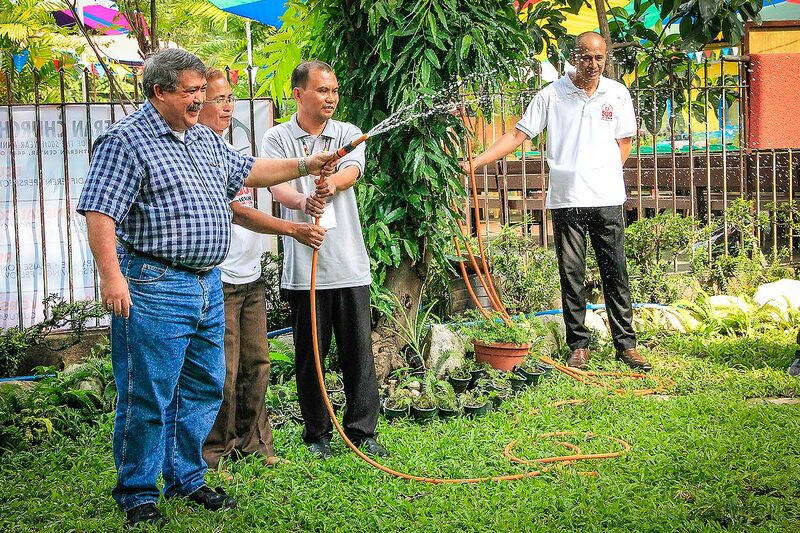 Antonio D. Reyes and other officials participated and watered plants in the garden on 28 October. We have had a positive reaction from the youth, and they are now more aware of climate change and the need for the protection of the environment. — Johanan Celine P. Valeriano, Young Reformer and LWF Council member from the Philippines. He noted more than 1,000 young people along with volunteers were involved in the so-called “Operation Bayaniha: Lutheran Center Garden Beautification” project in preparation for the tree dedication. Focused on the theme “Creation – Not for Sale, ” the LCP program is one of 54 such projects in The Lutheran World Federation (LWF) member churches around the world, highlighting a key focus of the communion’s commemoration of the Reformation anniversary. In the Philippines, “the first step was to bring together youth leaders for training. They then spread out across the country holding seminars in youth camps in different regions, including the North Luzon Lowland, the North Luzon Highland, the South Luzon District and the Mindanao District,” said Valeriano, a member of the LWF Council. The LCP group collaborates with the Department of Environment and Natural Resources and related non-governmental organizations in getting seedlings for tree planting and determining the location. The Young Reformers in the Philippines say they want to see the project continue with more youth involvement in advocacy for good stewardship of creation. They have put a great deal of time into spreading the word about the project throughout the 55,000-member LCP, which has been part of the LWF since 1973. “We understand that this is something new to our church, but we feel that this issue demands a response. Our project is still ongoing. Hopefully and prayerfully, it will materialize,” Valeriano added.